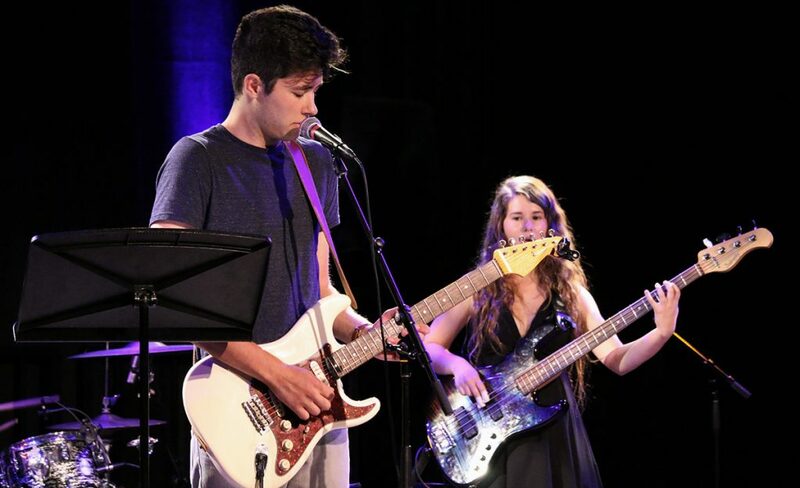 An intensive four-week course that prepares student guitarists for successful college and professional careers, the USC Summer Guitar Seminar is open to high school sophomores, juniors and seniors as well as college freshman looking to improve their proficiency levels. 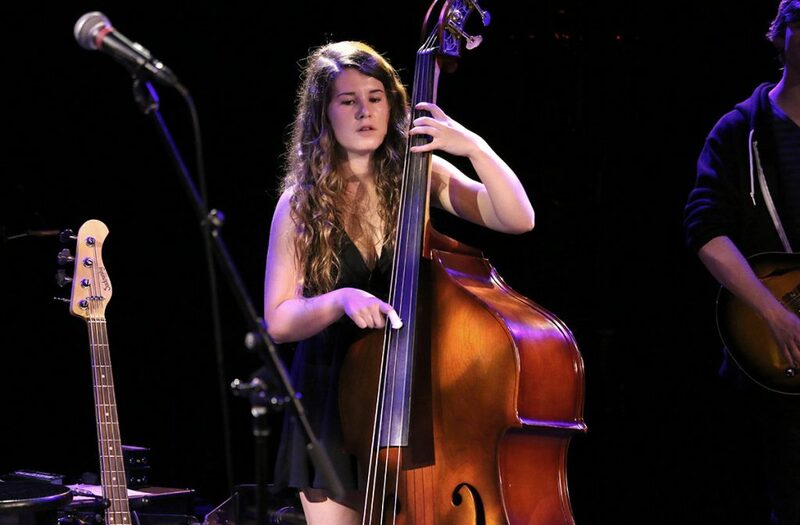 Administered by program director Shea Welsh, a Thornton alumnus and recording artist, the seminar’s faculty and guest artists include Bruce Forman, Pat Kelley, Tim Kobza, Frank Potenza, Richard Smith, Nick Stoubis, and Steve Trovato. 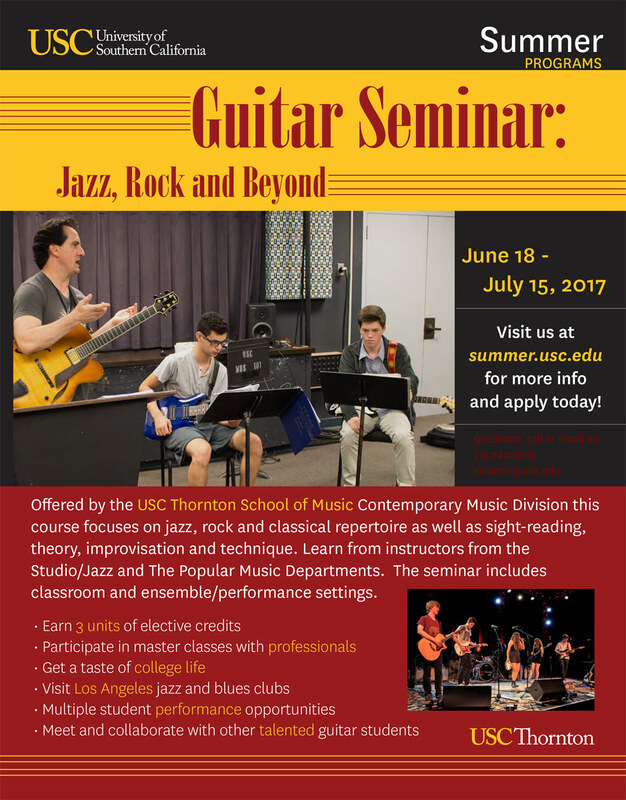 The 2017 USC Summer Guitar Seminar runs June 18 to July 15. The application deadline for domestic students is Friday, April 28 and Friday, March 24 for international students. For application information, visit USC Summer Programs or find the seminar on Facebook. 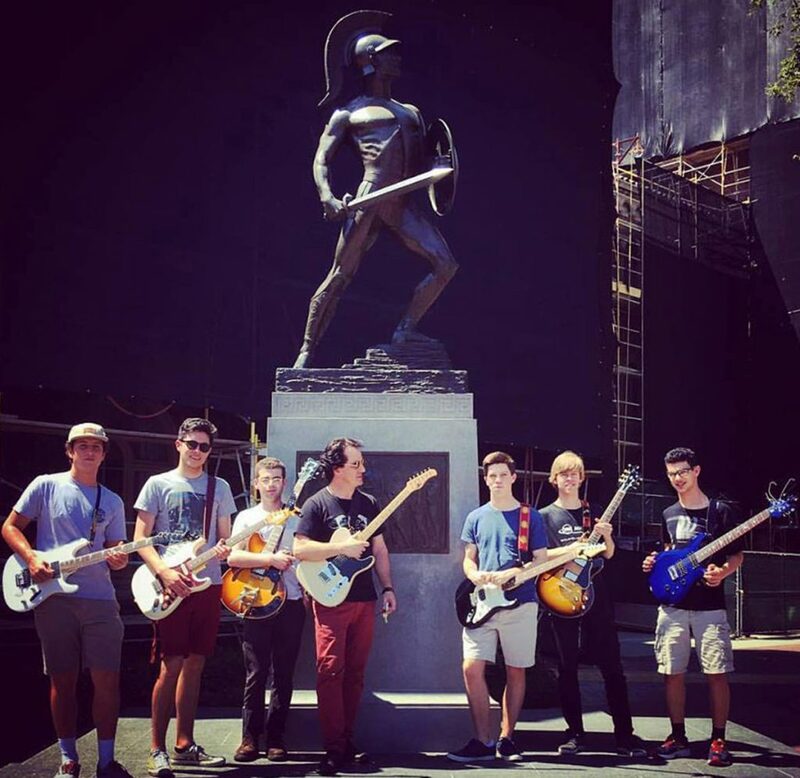 The USC Summer Guitar Seminar visits Tommy Trojan. 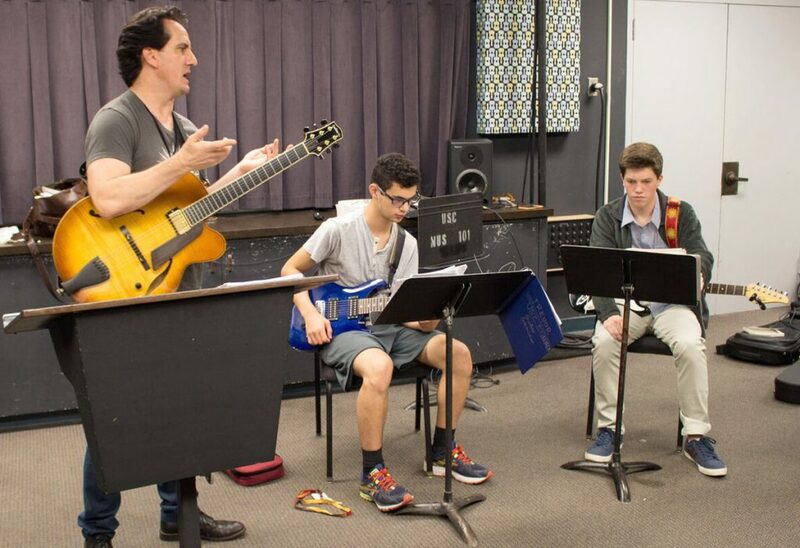 USC Guitar Seminar director Shea Welsh working with the 2016 class. 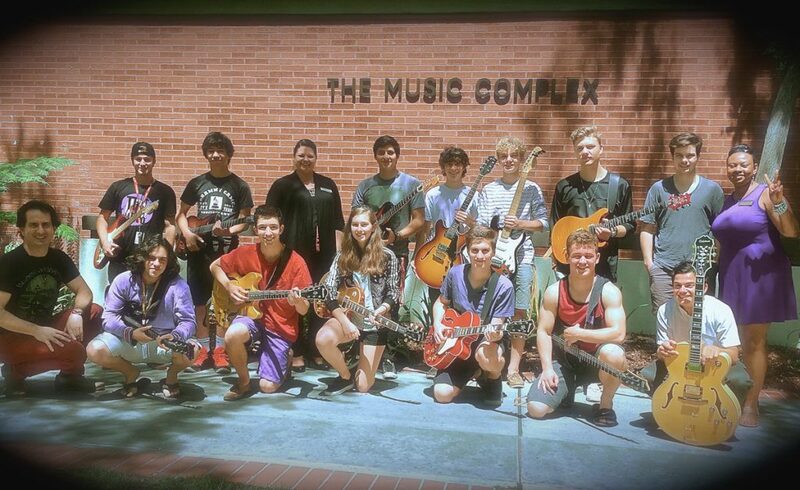 The 2015 USC Summer Guitar Seminar after a Q&A session with the USC Thornton Admission team. 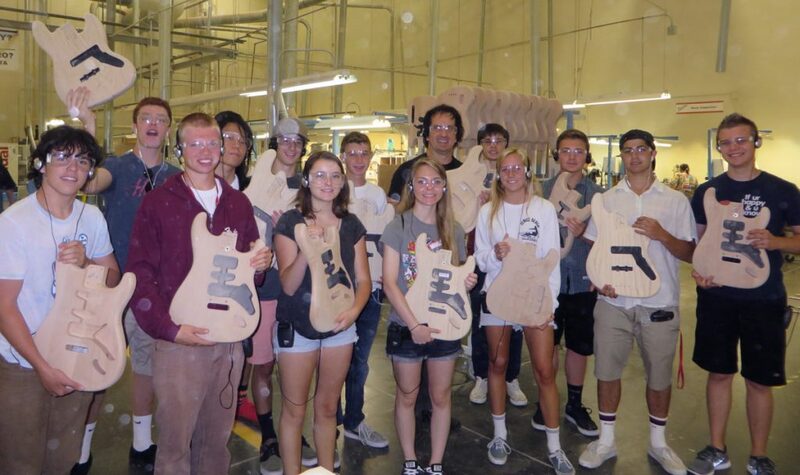 The 2014 class on their field trip to The Fender Guitar Factory in Corona, CA. 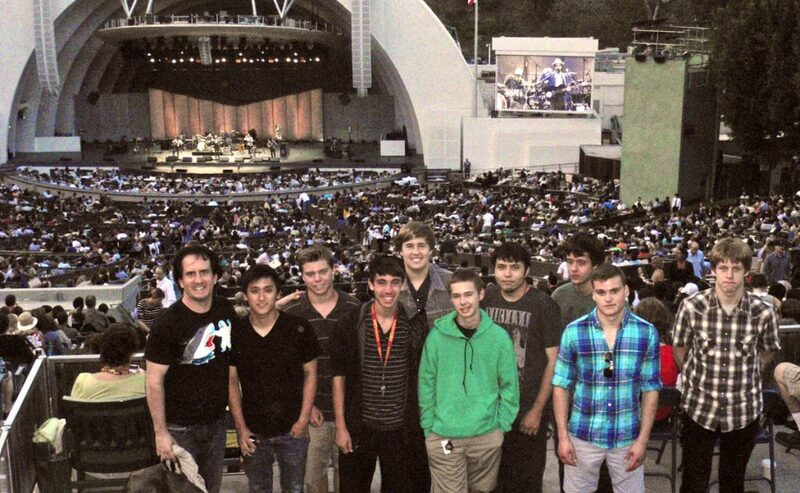 The 2013 USC Summer Guitar Seminar on their field trip to The Hollywood Bowl. Above, scroll through an album of images from past Summer Guitar Seminars. 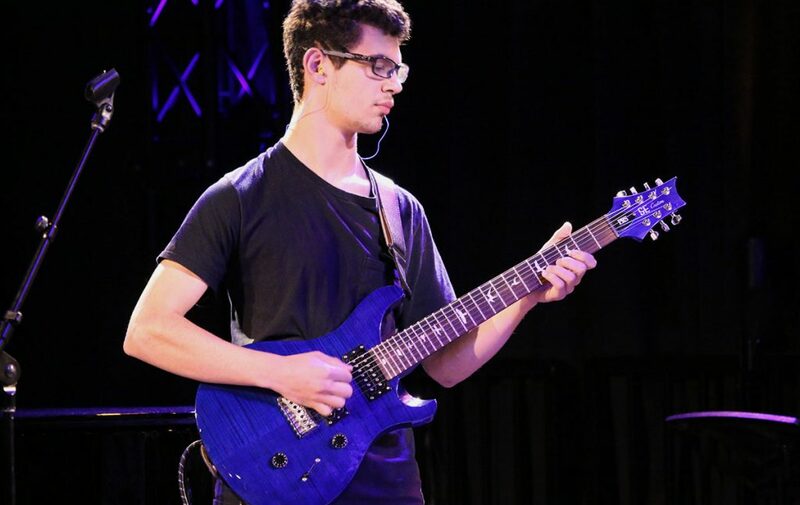 The following are alumni of the USC Summer Guitar Seminar who have gone on to become students of the USC Thornton School of Music.